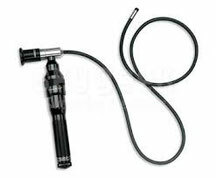 VSI/Bartz Technology Corporation is an authorized reseller of the Hawkeye / Luxxor brand of video borescopes. These products are available in many configurations for a broad range of visual inspection/industrial applications. The affordably priced borescopes might replace MR camera systems for tasks requiring non-repeatable imaging only - such as the determination of rooting depth or other descriptive tasks. Please contact us via Bartz Technology Corporation for current pricing.